MARK S. BARNES has practiced law with Bugbee & Conkle, LLP since 2001. Before joining Bugbee & Conkle, Mr. Barnes practiced with another private law firm and the Ohio Attorney General’s Office. Mr. Barnes’ practice encompasses workers’ compensation defense, administrative and court litigation, labor and employment law, and general civil matters. Mr. Barnes’ administrative practice primarily involves representing employers before the Industrial Commission of Ohio and the Ohio Bureau of Workers’ Compensation (including its self-insuring employers evaluation board (SIEEB) and self-insured review panel), where he has won numerous administrative hearings in a variety of disability and compensation issues involving injured workers and compliance matters for self-insured employers. In recent years, Mr. Barnes has concentrated his practice in workers’ compensation trials and has successfully defended employers in such trials in many of Ohio’s common pleas courts, including Lucas County, Wood County, Defiance County, Hancock County, Allen County, Erie County, and Richland County. In addition, Mr. Barnes has argued and won cases in the Sixth District Courts of Appeals in Toledo, the Third District Court of Appeals in Lima, the Tenth District Court of Appeals in Columbus, and the Ohio Supreme Court. Mr. Barnes frequently lectures throughout Ohio for various educational institutes and at seminars presented by bar associations and employer groups regarding matters of workers’ compensation, trial practice, and legal ethics. Mr. Barnes also has served as a guest lecturer at several local colleges. Mr. Barnes attended the University of Virginia, where he received a Bachelor of Arts in Rhetoric and Communication Studies in 1986. After graduating from college, Mr. Barnes worked for several Fortune 500 companies as an account representative in the Washington D.C. area. In1994, Mr. Barnes received his Juris Doctor degree from the University of Maryland. Mr. Barnes was admitted to practice law in Ohio in 1995. In 2001, the Ohio Supreme Court appointed Mr. Barnes to its Board of Bar Examiners, a committee of lawyers and judges which sets policy for and prepares the Ohio bar examination. Mr. Barnes served on the Board of Bar Examiners through 2006. Since moving to Ohio, Mr. Barnes has been active in the Toledo and Ohio State Bar Associations. 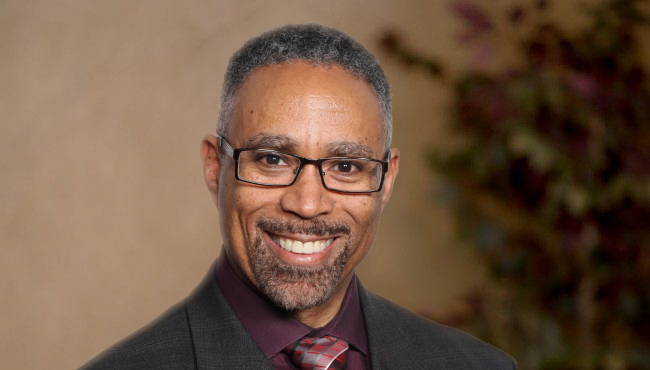 Currently, Mr. Barnes serves on the Toledo Bar Association’s Board of Directors and the Flower Hospital Board of Trustees. Mr. Barnes has resided in the Toledo area since 1994. He has been married since 1994 and has three children. Outside his law practice, Mr. Barnes enjoys art, golf, bowling, and physical fitness. Each year, Mr. Barnes participates in a local 5k run to raise money for arthritis. Because of his continued fundraising efforts, the Arthritis Foundation has named its annual fundraising award in Mr. Barnes’ honor.